Bible-based Literacy has a powerful influence, with both social and spiritual value. Lives are transformed through learning and trusting the Gospel, and new opportunities for evangelism arise naturally from the excitement of learning to read God's Word. And literacy raises educational levels and living standards throughout communities. Approximately 775 million adults - 1 in 10 - are functionally illiterate worldwide. Without the ability to access written and digital information, this is a significant obstacle for those living in spiritual and personal poverty. Our Bible-based Literacy program uses God's Word to teach reading and writing skills, opening new opportunities, and introducing the Bible to new readers in Africa, Asia, Europe, Latin America, the Middle East, and the United States. Learning basic reading, writing and speaking skills with a Bible-based curriculum offers a proven and effective way to communicate God's Word and transform lives. In most countries, Bible League International's Bible-based Literacy program uses the Easy-to-Read™ (ERV) Bible. As new readers sound out the words, read sentences and then entire stories, form letters, write and speak English, they learn the life-changing story of Jesus Christ. As they learn to read and write, their eyes are opened to the truth of God’s Word. After Annpurna’s husband died, the 45 year-old mother of five was left illiterate, unemployed, and worried about her children’s future. When someone from a local church visited her to share the Gospel, she was invited to join the church’s Bible-based Literacy class. She joined, learned how to read and write in Hindi, and also learned about Jesus. 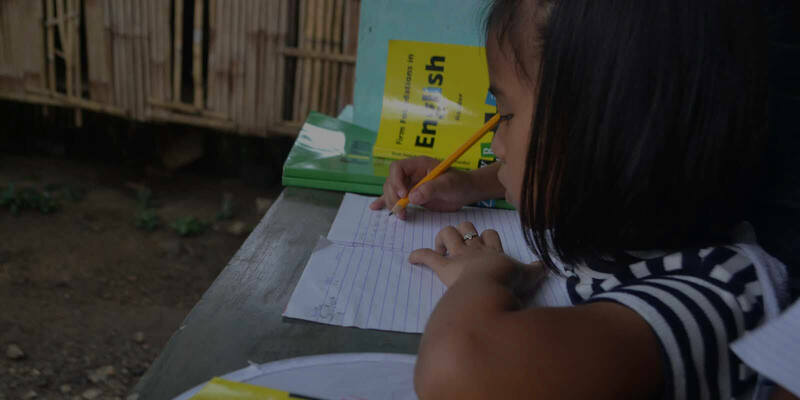 “The teacher told me to cast my burdens on Jesus because he knows our problems and worries well,” she says. “These words gave me peace and I attended the literacy class regularly. Now, I’m a totally changed person because I know Jesus Christ. He is the head of my family.” Annpurna’s children decided to follow Jesus with her. “Now, I can read and write very well and I can also read the Word of the Living God,” she says.